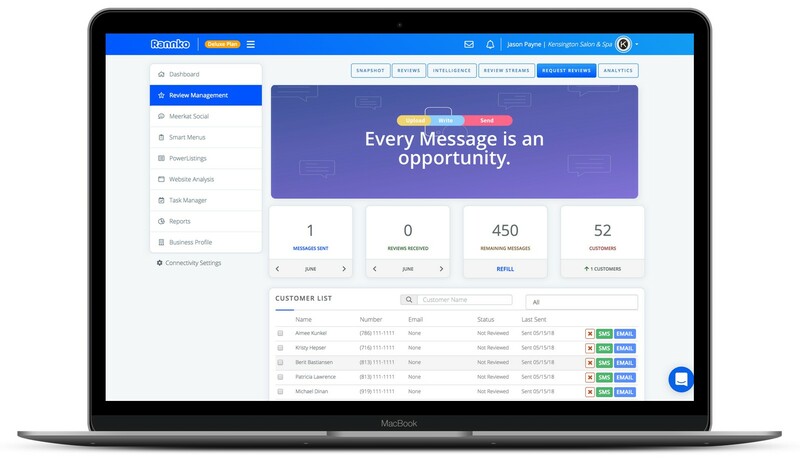 Request Reviews, Engage & Monitor in a BIG way! Today’s ultra-informed customers are in full control of your reputation. 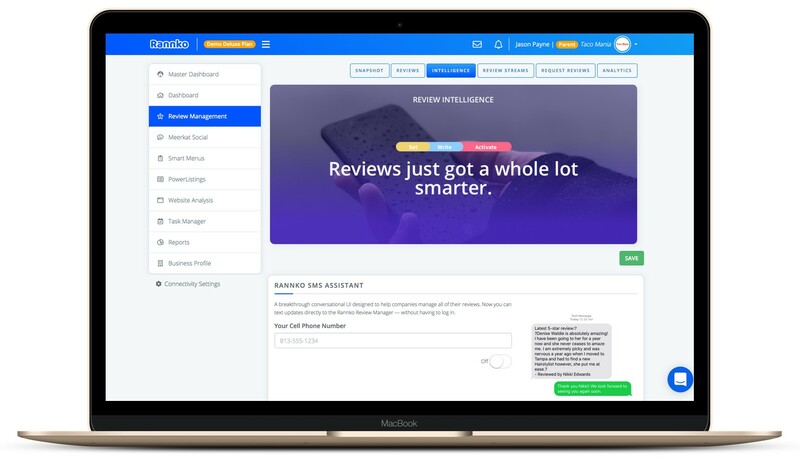 Rannko simply helps your business stay connected while leveraging reviews -- putting your business on the map and road to success! We understand the frustrations of maintaining a positive online presence, that's why we started Rannko. We make maintaining an online presence and interacting with your customers simple and easy! Try Rannko today, free and easy for 7 days! Also, don't forget to use forever99 and receive the entire suite for $99/mo! Listen to Your Customers & Grow Your Brand. Encourage your customers to share their experiences. Have ultimate control, monitor, engage, leverage and manage your reputation. All from one easy-to-use platofrm! Let's face it, we all know that a solid review platform must offer some pretty neat features. We have built out our features list based upon what our clients wanted. Listen to what your customers are saying about you all across the web on popular review platforms, and respond all from one location. 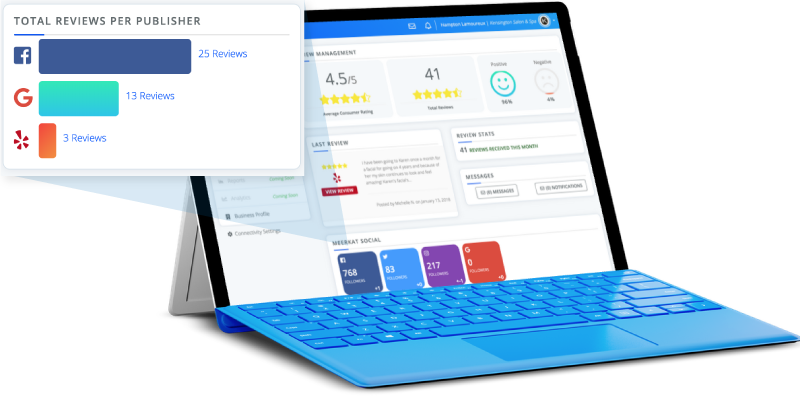 Automatically or manually respond to negative and positive reviews in real-time. Better yet, receive live notifications and respond to reviews directly through text messages! Send unlimited review requests & reminders to recent customers via email or text & track how many reviews were received. Of consumers percent of consumers trust online reviews as much as they trust a personal recommendation from somebody they know. Of consumers will consider a business that has a four-star rating, but only 57 percent of them will consider a business that has a three-star rating. Of consumers feel that a business cares about their consumers more if they respond to online reviews than if they do not, according to a TripAdvisor survey. Small Business Trends reported that positive comments from customers or clients produce an average increase in sales of 18% and that consumers are likely to spend 31% more because of positive reviews. 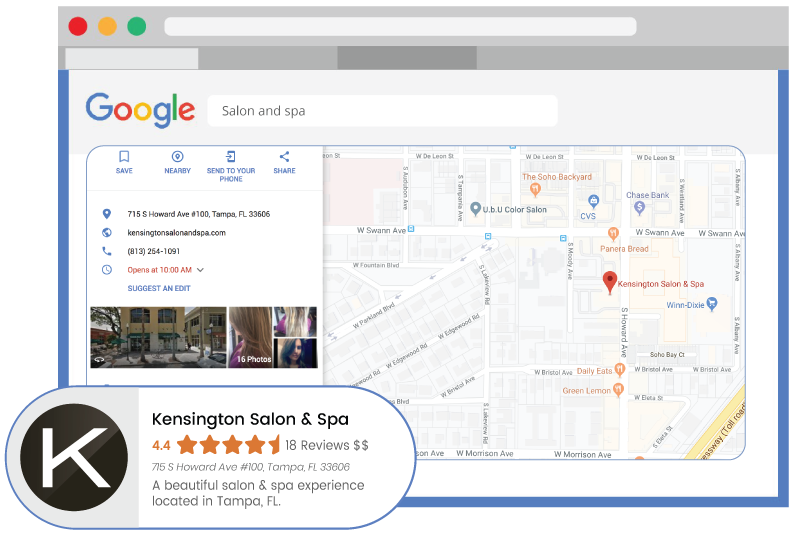 Online reviews are the most important factor for local search engine rankings: A study by LocalSEO Guide, the University Of California Irvine, and PlacesScout recently confirmed that online reviews, and specifically keywords used within them, influenced local search engine rankings more than any other factors that they looked at. Analytics that make you go ahh! We already know meaningful interactions lead to long lasting relationship. Rannko simply puts all this information in front of you! 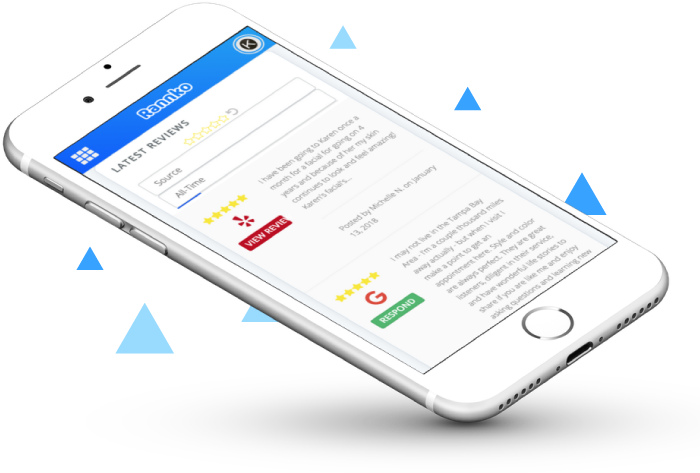 See how many reviews you've received across different platforms as well as your average rating. 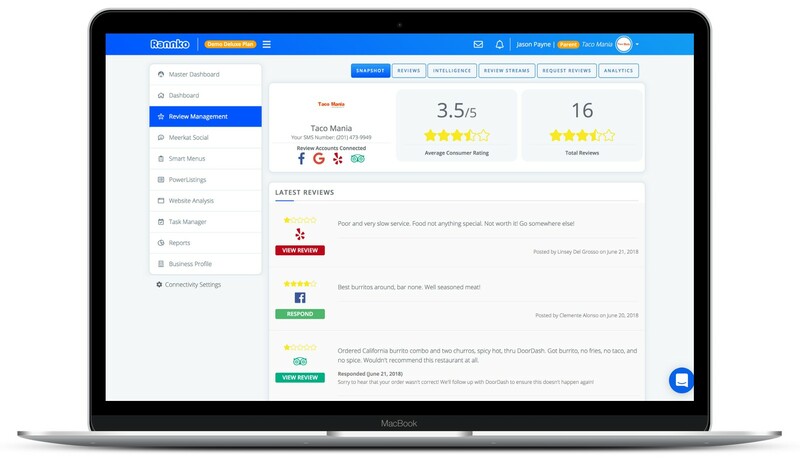 Manage your public reputation and see how many reviews you have responded to. Pro tip: never leave any review without a response! In business your reputation is all you have.